Laboratory Power Supply POWERLAB 302D 30V/2A DC LED Linear Adjustable Power Supply is a equipment with high stability, high reliability, low noise, its output voltage or current can be continuously adjusted, and its constant voltage and current can auto-conversion. This low cost and universal power supply can be used in many different areas, from test of R&D equipment to test of production lines. 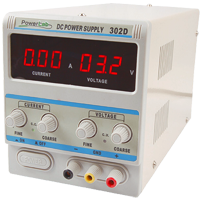 Laboratory Power Supply POWERLAB 303D 30V/3A DC LED Powerlab Series Linear DC Adjustable Power Supply is a equipment with high stability, high reliability, low noise, its output voltage or current can be continuously adjusted, and its constant voltage and current can auto-conversion. This low cost and universal power supply can be used in many different areas, from test of R&D equipment to test of production lines. This series including more than 30 models. 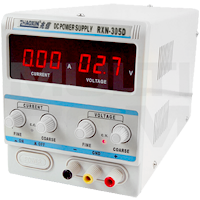 Laboratory Power Supply Zhaoxin 305D 30V/5A LED Linear Adjustable Power Supply is a equipment with high stability, high reliability, low noise, its output voltage or current can be continuously adjusted, and its constant voltage and current can auto-conversion. This low cost and universal power supply can be used in many different areas, from test of R&D equipment to test of production lines. 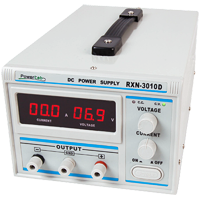 Laboratory Power Supply PowerLab 1502D 15V/2A DC LED is linear Adjustable Power Supply is a equipment with high stability, high reliability, low noise, its output voltage or current can be continuously adjusted, and its constant voltage and current can auto-conversion. This low cost and universal power supply can be used in many different areas, from test of R&D equipment to test of production lines. Laboratory Power Supply POWERLAB 3010D 30V/10A LED Linear Adjustable Power Supply is a equipment with high stability, high reliability, low noise, its output voltage or current can be continuously adjusted, and its constant voltage and current can auto-conversion. This low cost and universal power supply can be used in many different areas, from test of R&D equipment to test of production lines. 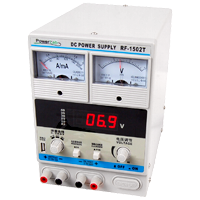 Laboratory Power Supply PowerLab 1502T 15V/2A DC is linear Adjustable Power Supply is a equipment with high stability, high reliability, low noise, its output voltage or current can be continuously adjusted, and its constant voltage and current can auto-conversion. This low cost and universal power supply can be used in many different areas, from test of R&D equipment to test of production lines. 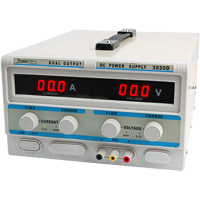 Laboratory Power Supply POWERLAB 302D 30V/20A DC LED Linear Adjustable Power Supply is a equipment with high stability, high reliability, low noise, its output voltage or current can be continuously adjusted, and its constant voltage and current can auto-conversion. This low cost and universal power supply can be used in many different areas, from test of R&D equipment to test of production lines. 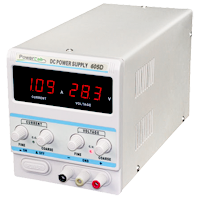 Laboratory Power Supply PowerLab 605D 60V/5A DC LED is linear Adjustable Power Supply is a equipment with high stability, high reliability, low noise, its output voltage or current can be continuously adjusted, and its constant voltage and current can auto-conversion. This low cost and universal power supply can be used in many different areas, from test of R&D equipment to test of production lines. 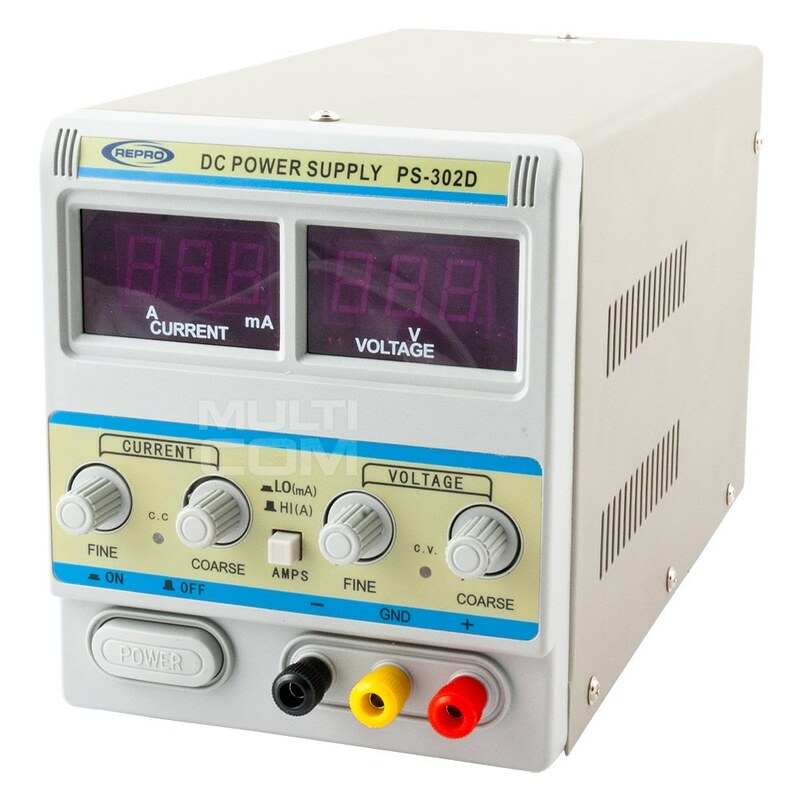 Power Supply REPRO PS-302D 30V/2A DC LED power supply unit, stabilized with smooth voltage and current regulation, is the ideal DC source for laboratory, service and hobby. Equipped with large readable LED displays, single output and short-circuit protection. The power supply is characterized by high precision of operation, modern design and solid performance.